What is possible with proper nutrition? 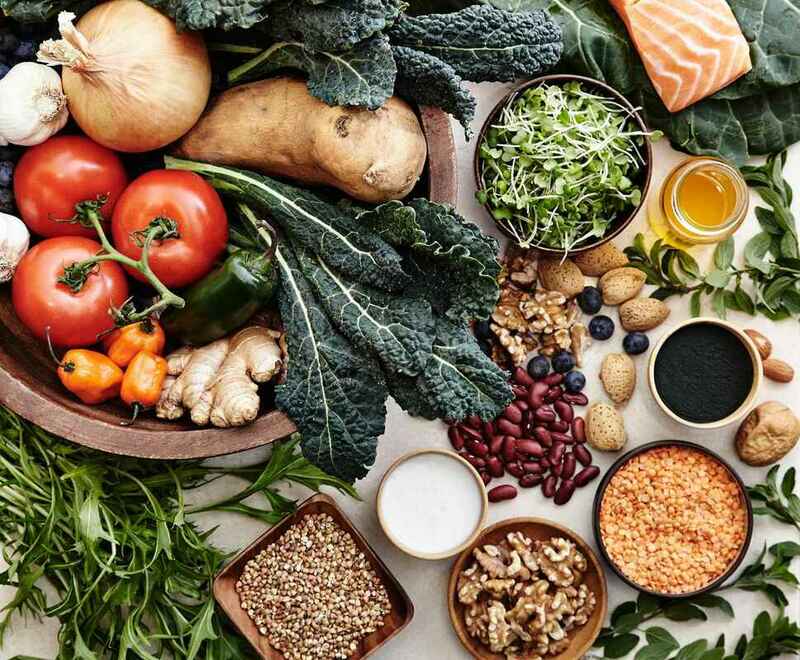 At Advanced Pain Solutions, close to 30% of all the success we see with patients comes from a combination of what they eat and the supplementation they take. That's a big number! That means that if all you do is change what you eat, you will feel better and become much healthier. When combined with our advanced therapies, the potential is really limitless. 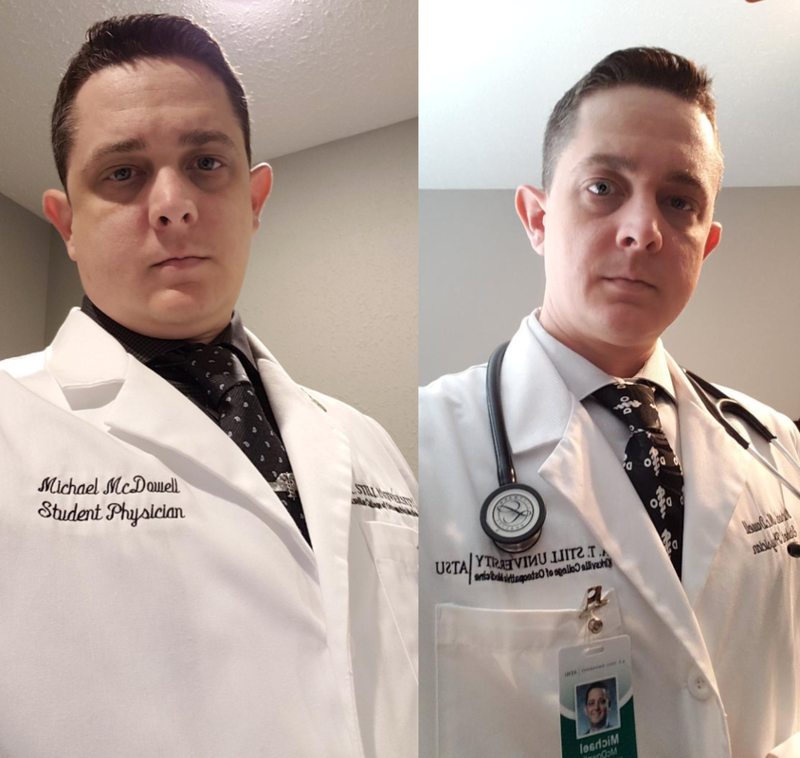 Meet Michael McDowell a medical student who has completely transformed his body and his health through proper nutrition and diet. Mike has lost over 40 lbs and improved all his blood lab values in a few months. Mike followed the dietary recommendations we give to all our patients, and the results speak for themselves. You can download the same guide I gave Mike by clicking the button below. All the supplement recommendations I make are whole food concentrates and herbal medicines. I believe the best nutrition comes from eating whole foods. These are foods you might find in the grocery store, like peas, radishes, and beets. Unfortunately, in today's society, most people just don't get enough nutritious food in their diets. Conventional farming techniques leave soil depleted and food saturated with toxic chemicals. Given proper nutrition, the human body has a fantastic ability to heal. To do so, we need to eat whole, organic foods and eliminate destructive habits. Of course, very few people eat this way so supplementing with whole food concentrates and herbs provides the missing keys. Eat the foods or take the supplements. One of the first things patients will do when I make recommendations is to shop the list at the local drug store or vitamin section of Wal-Mart. If you think that all vitamins are the same, you are wrong. Other products are synthetic and similar to drugs in many ways. For example, the supplement B12 is cyanocobalamin. Low-end vitamin manufacturers won't tell you that this form of B-12 is bound to a toxic cyanide molecule that must then be detoxified by your liver. Cyanide is a known poison, but you won’t know that by reading the label. You see the FDA has not defined the word natural so it can be used it legally to describe just about anything. Another example is calcium supplements. The most common drugstore supplement is calcium carbonate, which is not usable in the body. Calcium Carbonate is limestone, yet it is promoted as a natural supplement. You can go outside and lick the sidewalk; it will be the same thing, and it won’t help anything. Whole food concentrates from Standard Process are different. They are of low potency because they represent nature. A good example is synthetic Vitamin C (Ascorbic Acid) which usually comes in the form of 500 or 1,000 mg pills. A slice or orange has about 10 mg of vitamin C, and yet it can prevent scurvy. What’s the difference? The orange has many other elements that are only found in the orange and cannot be made in a lab. It turns out that those unreproducible things are the key. Think about the difference between the natural sugar found in an apple and the white, crystalline stuff that you put in your coffee every morning. The scientists (who work for the chemical companies) will tell you it’s the same, that sugar is sugar. They will tell you that drinking a glass of orange juice is the same as a can of Coke Cola. Here in America, synthetic nutrition is marketed with such stellar budgets that the principles of whole foods have been forgotten. So what’s the simple difference between artificial and whole food nutrition? Well, it's the difference between something that's living and something that's dead. Throw out your synthetic vitamins, start following these recommendations and then contact me with your success stories. 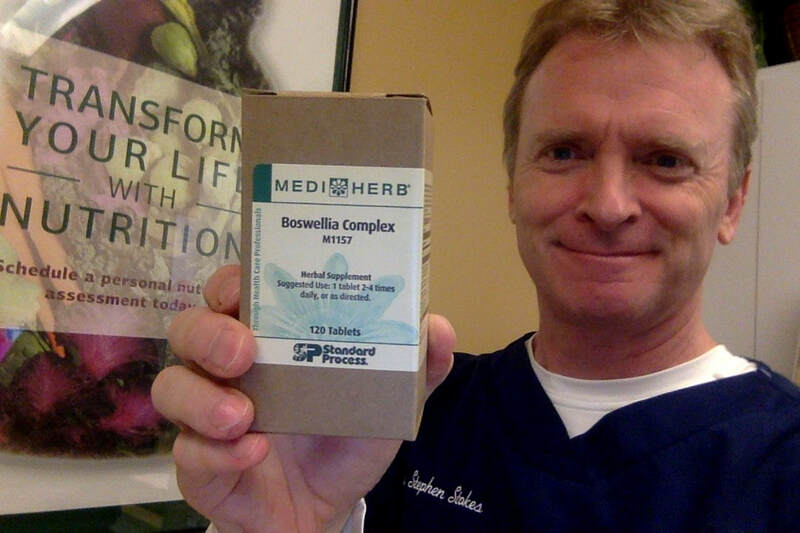 Boswellia Complex is our #1 product for pain and inflammation. The answer is yes. Herbs are the original medicine. Many drugs are based on herbal designs and so you have to approach herbs with the same respect and caution that you would a prescription. In our clinic, herbs are used for an immediate effect, like pain relief or trouble sleeping whereas food concentrates are used to slowly change the body chemistry and improve health over time. We only use a Mediherb for our herbs because they grow and process all their own products and conduct extensive testing to prove the effectiveness of their extracts. Again you are not going to find these products on your local vitamin store shelf. As an example, one of our more popular products is Boswellia Complex. This is on elf the most effective ant inflammation products available and it contains, among other things, 277mg of Boswellia. Now this is a 7:1 extract of Boswellia that is made from 1.9 grams of Boswellia serrata gum oleoresin. So they are taking 1.9 grams of product to make 277 mg of medicine in 1 tablet. If you go to the vitamin store and buy say 500 mg of Boswellia you are just getting 500 mg of the whole plant, and that is going to be very wet with little if any medicinal properties. WE ONLY SELL SUPPLEMENTS TO PATIENTS, and we offer a discount off the retail price, plus free shipping on orders over $100. Call Carol at (239) 275-7575 and you can place your order. If you are not a current patient and cannot visit the clinic you may qualify for a long distance nutritional consultation, click the button below for more information. Also if you want to learn more about supplements, whole foods and medical herbs make sure you read Dr. Stokes book, The 7 Steps To Innate Healing. ​You can get a 20% discount by purchasing directly from our publisher, click below.